Dale joined his brother Nathan at their hometown Club after spells at Billingham Synthonia, Norton & Stockton Ancients and Marske United. Dale is an old school centre half big and strong with a great never say die attitude. He is a no nonsense player good in the air and loves a tackle, he defends with everything on the line always. 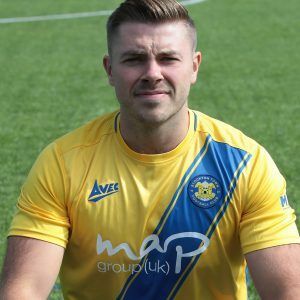 His experience of the Northern League and character strengthens the squad further and he amongst others was a colossus in the FA Vase Semi Finals.